Sometimes the hardest part of deciding what to cook for dinner isn’t the main entrée, but actually coming up with a side dish. 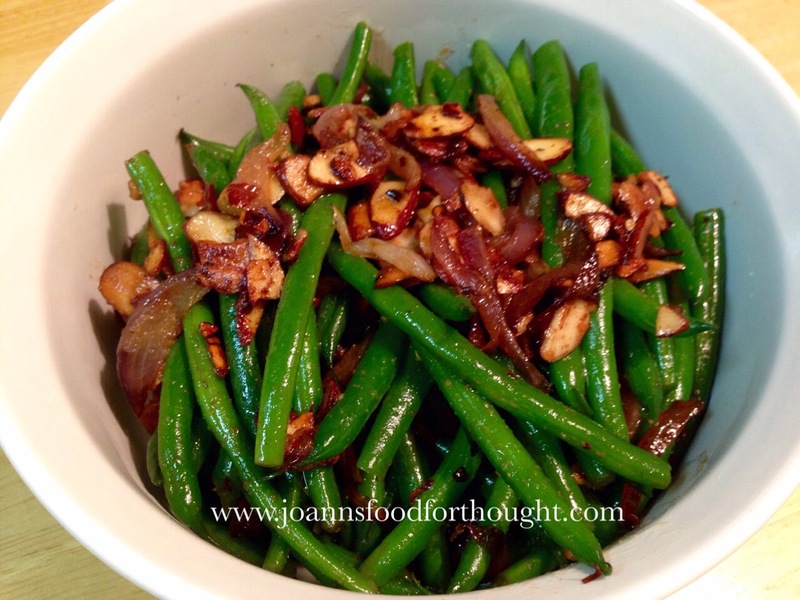 My go to vegetable side dish is French green beans. They pair nicely with most proteins. And they are fairly quick and easy to cook. 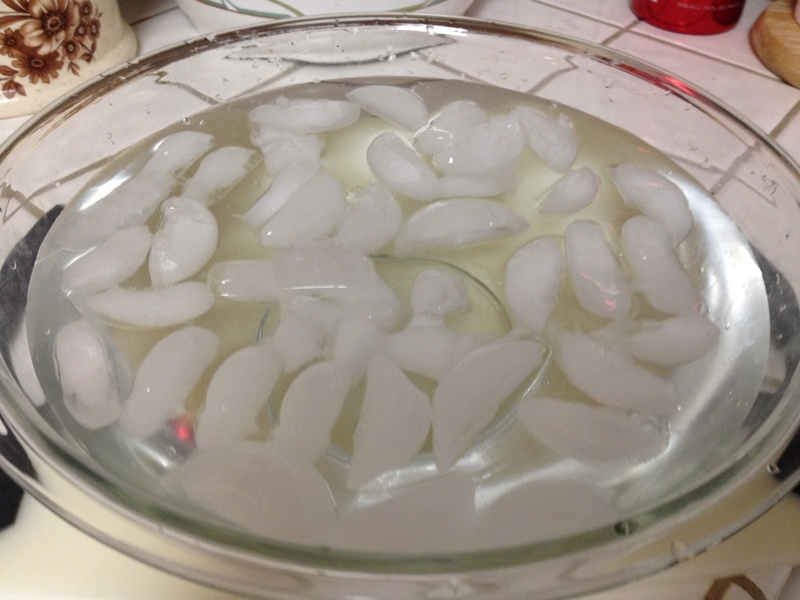 Boil water in a saute pan. 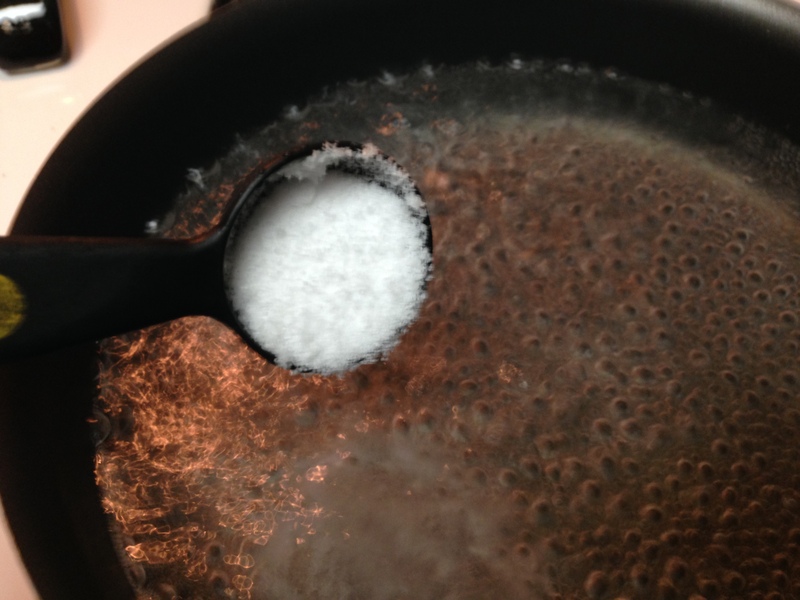 Add 1 tablespoon salt once water is boiling. 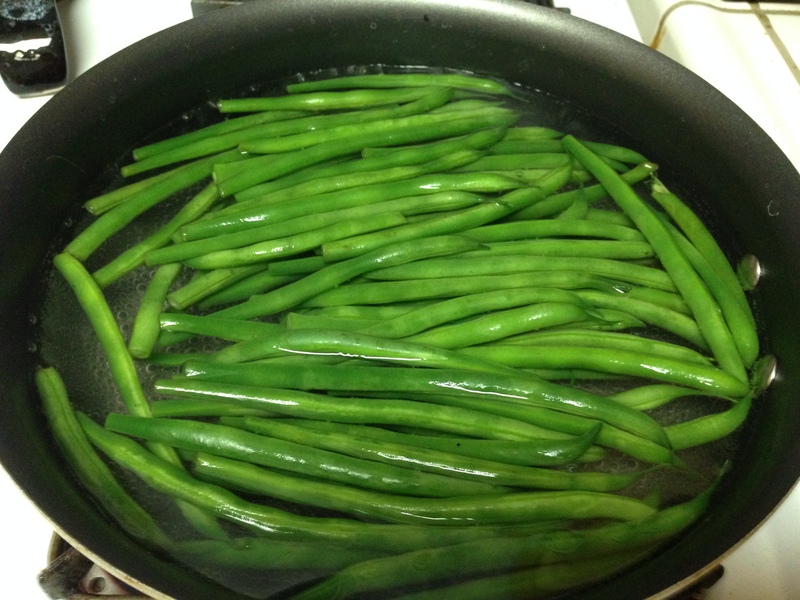 Carefully add the green beans to boiling water for 1 minute. 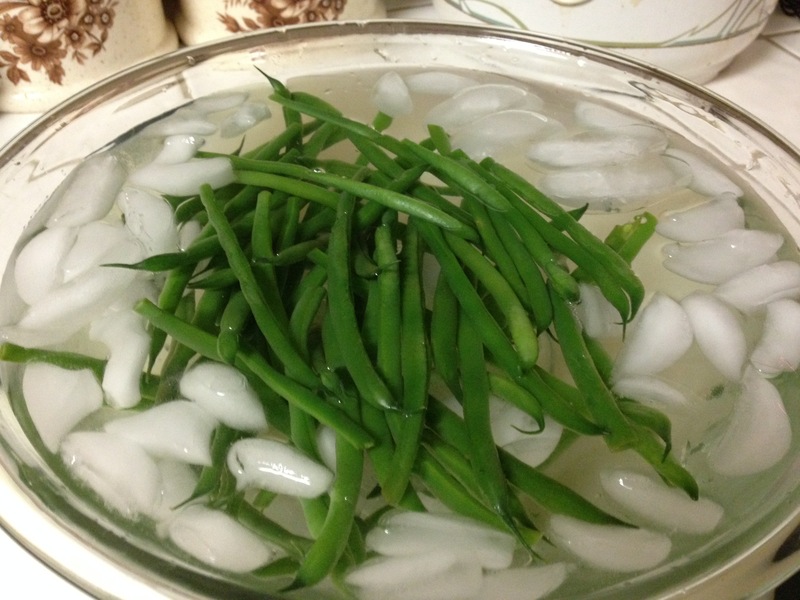 Blanch green beans by removing them from the boiling water and immersing them into the ice bath. Clear saute pan of remaining water and wipe down with paper towel. Bring saute pan back to stove on medium high heat. Add oil and butter and combine using a wooden spoon. Once oil and butter begin to ripple, add garlic, red pepper flakes and almond slices and stir. 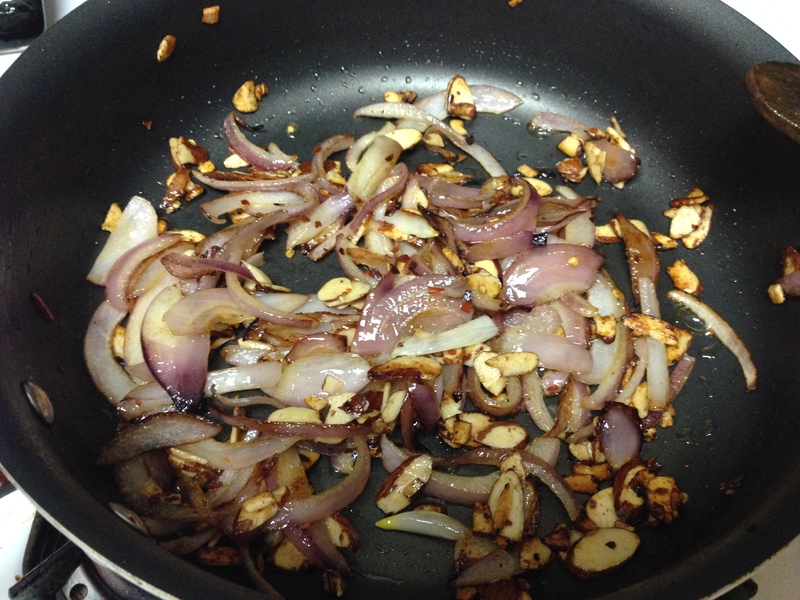 Next add red onion slices and stir every minute until onions are translucent and caramel in color. 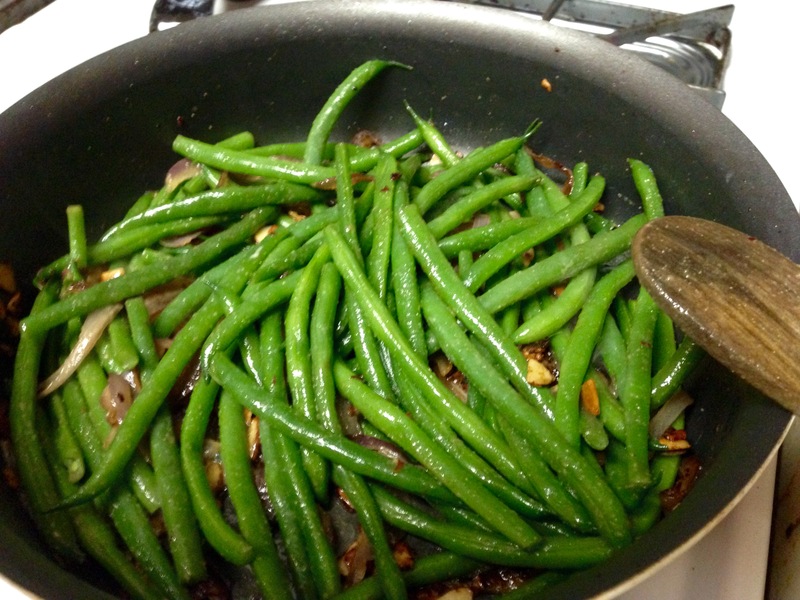 Strain green beans from ice bath and add to saute pan. Combine beans and onion mixture for 2 to 3 minutes until beans are heated throughout. 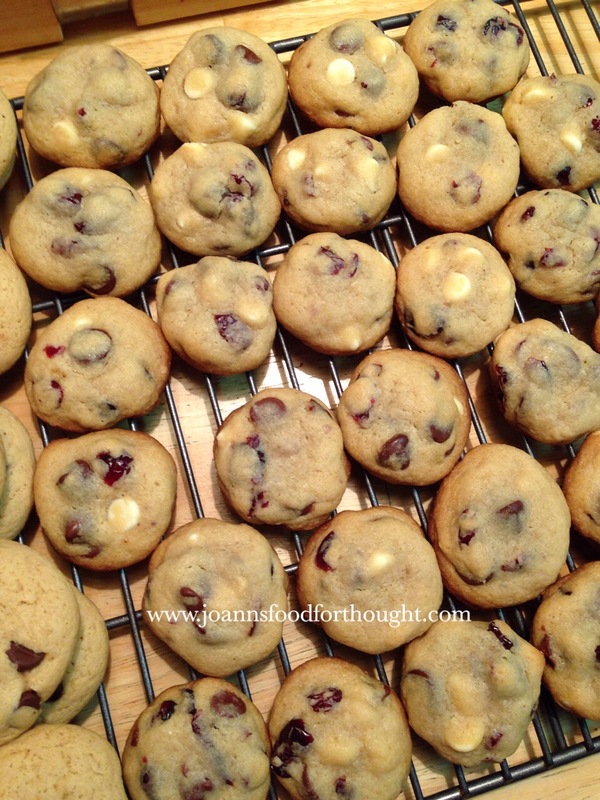 I came up with this recipe because I wanted to make a festive, combination chocolate chip cookie. One that was not chocolate chips and nuts because I’m not big on nuts in my cookies. But chocolate and dried fruit sounded fantastic. You can substitute dried cranberries or even apricots if you prefer. Using a mixer combine the butter, sugar and brown sugar and beat on medium speed for 2 minutes until light and fluffy. Add the dried cherries, and the 3 types of chocolate chips to the mixture. Mix manually with a wooden spoon until chips and cherries are combined. Bake until light golden brown and just set, 9-10 minutes. Note: These cookies can be baked ahead and stored in an airtight container at room temperature up to 3 days. In the winter time I love to make all kinds of soup, especially miso soup. But now that it’s spring and the weather is getting warmer, a hot bowl of soup just doesn’t pique my interest. So what do I do with that tub of miso paste I still have in the refrigerator? 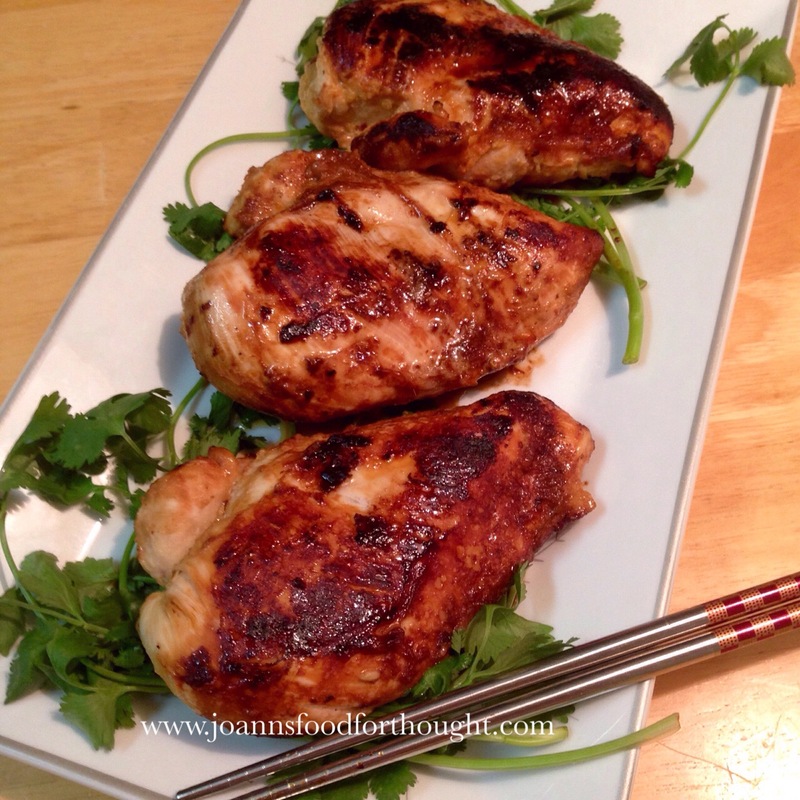 Well, I always have chicken in my freezer so why not make miso chicken? And once I saw how easy this was, I was kicking myself for not trying this sooner. Place chicken breasts in a one gallon Ziploc bag and set aside. In a measuring cup combine: miso paste, sesame oil, garlic, ginger, pepper flakes and water. Mix well. Pour marinade over chicken breasts and seal bag tight. Massage marinade over chicken pieces and refrigerate for 2 hours. Heat oil in a large skillet over medium high heat. Add chicken when oil begins to ripple. Cook chicken about 4 minutes per side, until no longer pink in center and internal temperature reads 165 degrees. Serve with jasmine rice and/or your favorite vegetables. Enjoy! With my family, there doesn’t have to be a holiday or celebration to have dessert. If we get together for a family dinner, you can bet there will be dessert. Homemade or store-bought. It doesn’t matter. But there must be dessert. This was originally an “experiment recipe” and of course I tested it on my family. But now it’s my go to dessert when I want to make an effort to actually make dessert, but don’t necessarily have the time or energy to be a Master Chef. 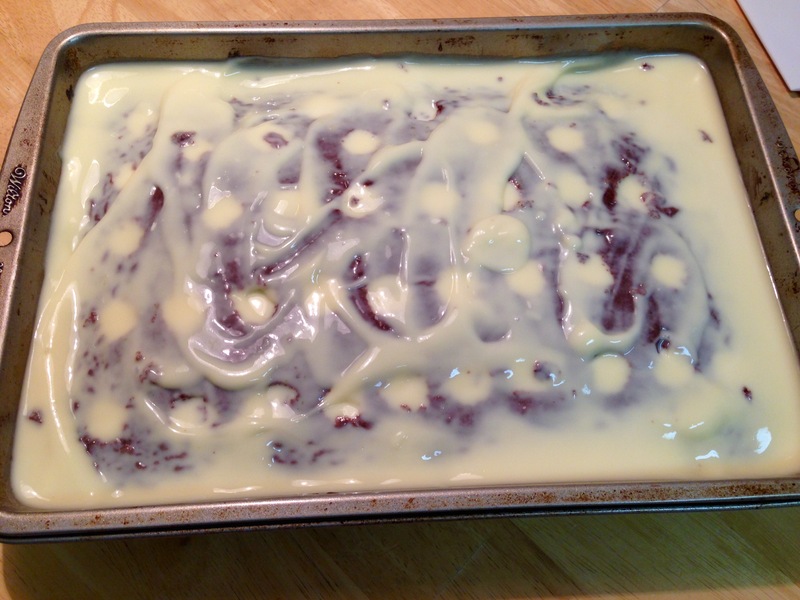 Mix the cake batter according to directions using the water, oil and eggs. 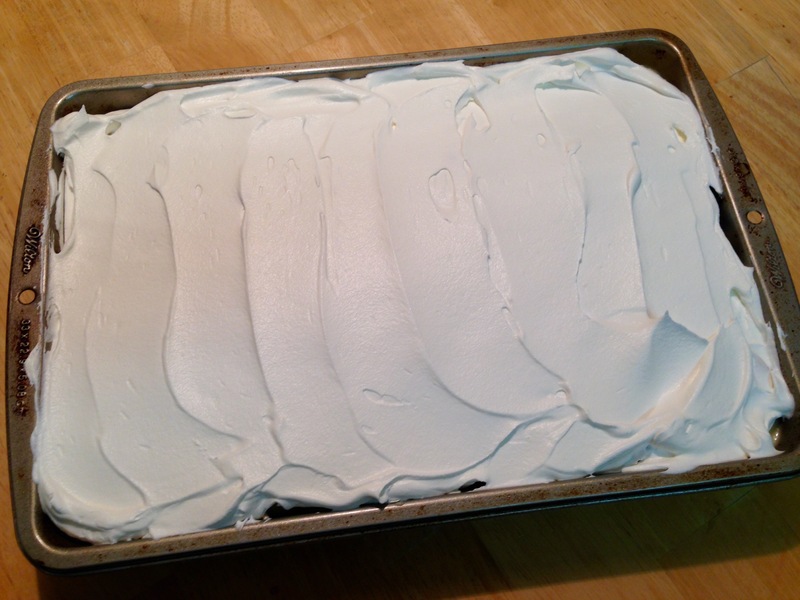 Pour the cake batter in a 9X13 baking pan that has been lightly coated in baking spray or wiped throughout with vegetable oil. When the cake is cool, use the bottom of a wooden spoon and poke holes throughout the cake. Yes, I know you just baked it and watched it rise to become a smooth surfaced chocolate cake. But I mean it. Get to poking! That’s why it is called a “poke” cake. Next, whip the banana pudding mix with 3 cups cold milk for 2 minutes. 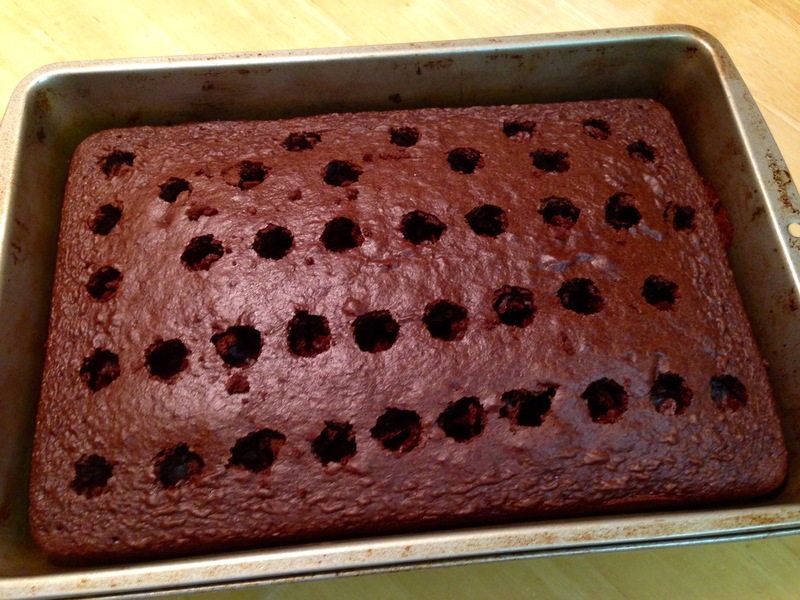 Immediately pour the pudding onto the cake, making sure all holes are filled with pudding. Put the cake into the refrigerator for 30 minutes to let the pudding completely set. In the meantime, cut up 4 bananas into slices. 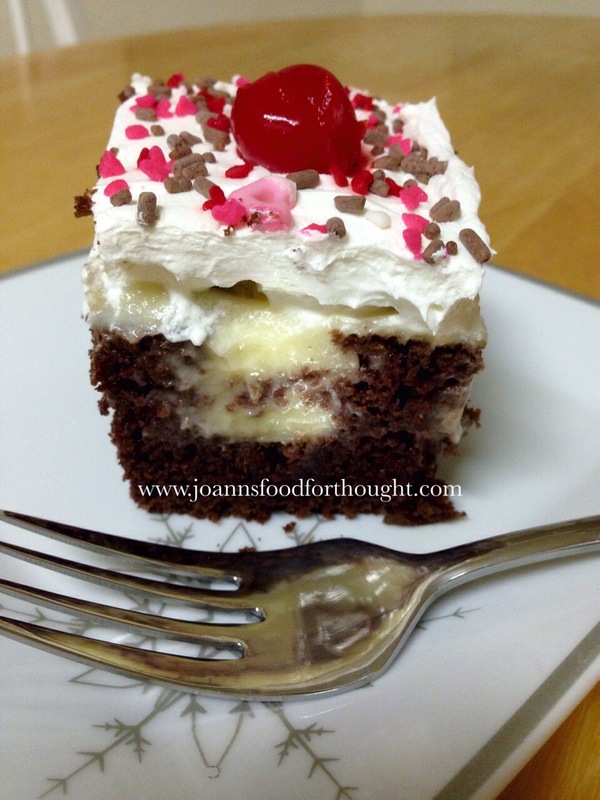 Pull the cake out of the refrigerator and arrange the banana slices on top of the pudding layer. Be sure to cover entire cake. 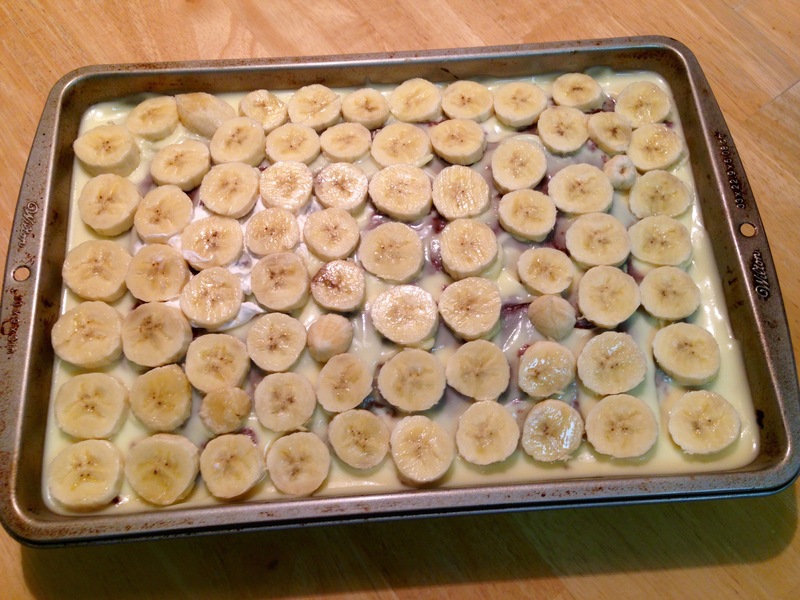 Now layer the Cool Whip topping over the bananas. 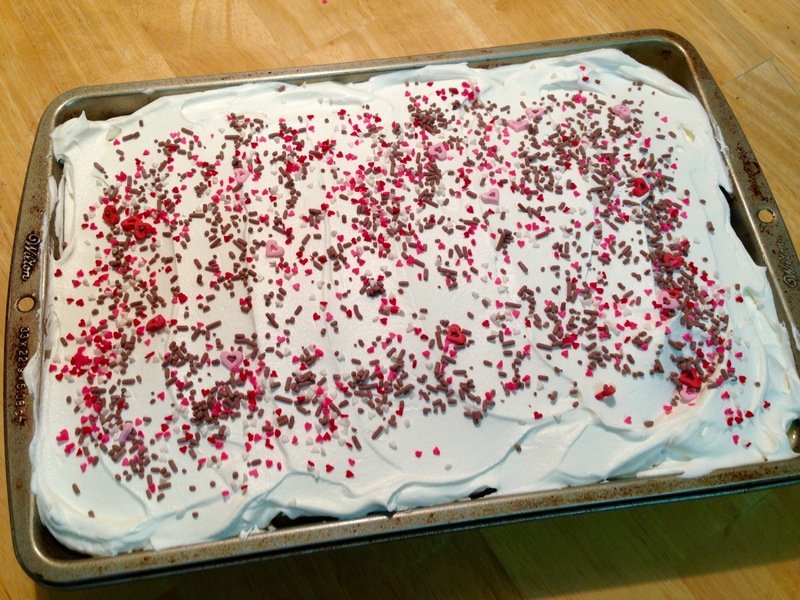 Add sprinkles and/or fruit to decorate. I hope that you and your family enjoy this cake as much as my family does. You don’t have to tell them how easy it was to make. That can be our little secret. My daughter moved out about a year ago. Until she left, I did all the cooking for our family. Oh sure, she could cook the basics like ramen, macaroni and cheese and spaghetti. But handling and cooking meat was something she did not like to do. I wasn’t worried since I knew there was always the internet and cable TV to teach her how to cook. Growing up with so much technology and information at the touch of a few keystrokes is amazing. More amazing was the fact that she still asked for my recipes. Imagine my surprise when she shared one of her recipes with me! Mind you, I did tweak the recipe to suit my tastes, but the recipe is essentially hers. This recipe should feed up to 4. In a large mixing bowl add chicken, kosher salt, black pepper, dried rosemary, dried oregano, cayenne pepper, garlic powder (or minced garlic), lemon juice and olive oil. At this point you can either put in the refrigerator and let marinade for an hour or cook right away. 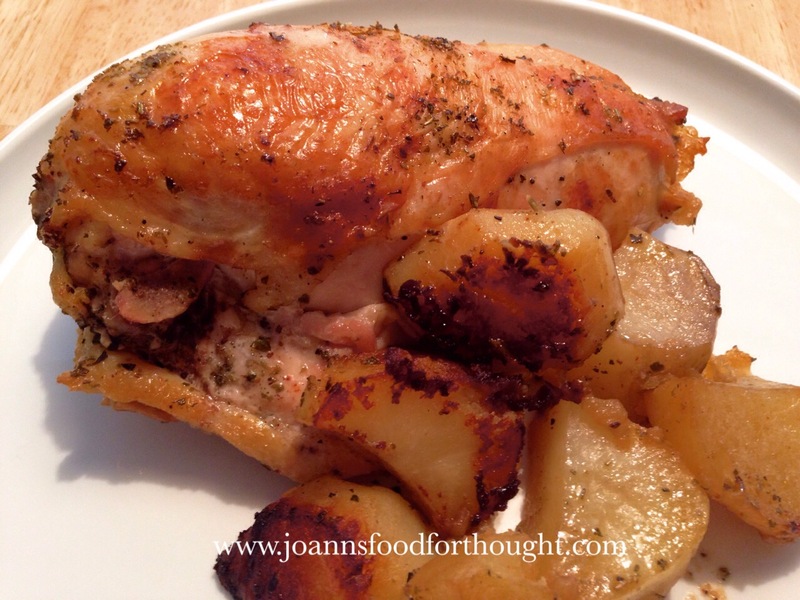 Add chicken broth to your roasting pan. Add chicken and seasonings to roasting pan. Be sure to spread pieces apart. 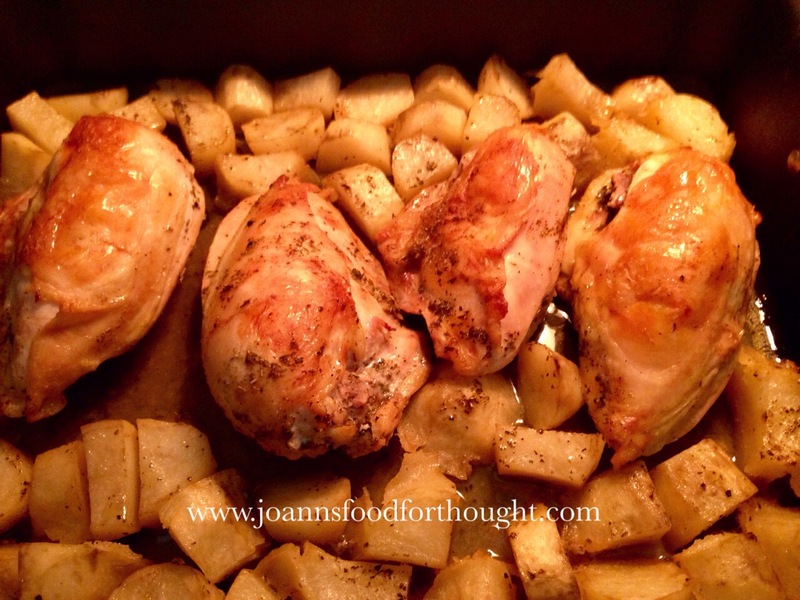 Add potatoes to roasting pan, placing around the chicken pieces in an even layer. Roast at 425 degrees for 45 minutes or until the chicken is well browned and cooked through with an internal temperature of 165 degrees.